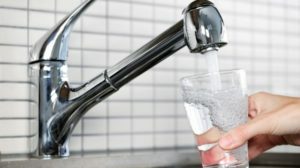 From March 25 through May 6, Arlington’s safe and dependable drinking water may taste slightly different as the regional supply system undergoes its annual spring cleaning. Crews at the Washington Aqueduct will begin the temporary disinfectant switch from chloramine to chlorine. The annual switch is part of a routine program to clean and maintain the drinking water systems. The Aqueduct also adds a corrosion control inhibitor during the switch to prevent the potential release of lead in system pipes throughout the region. Extensive research in Arlington has never found any lead service lines or lead pipes inside homes. During the cleaning, Arlington’s Water, Sewer, Streets Bureau will continually monitor the output for safe chlorine levels as well as conduct system-wide flushing to enhance water quality. Concurrently, staff will also start systematically flushing fire hydrants throughout the County. Running the cold water tap for about two minutes, using water filters and letting water sit in a container in the refrigerator are generally effective for removing chlorine taste and odor. Customers who take special precautions to remove chloramine from tap water should continue such methods during the temporary switch to chlorine. As always, those with special concerns should consult their health care provider. Operated by the U.S. Army Corps of Engineers, the Washington Aqueduct is the wholesale water supplier for Arlington, the District of Columbia and northeastern Fairfax. Arlington’s drinking water meets all of the safety standards established by the federal Environmental Protection Agency and Virginia Department of Health. The bureau’s next annual water quality report will be released later this spring.